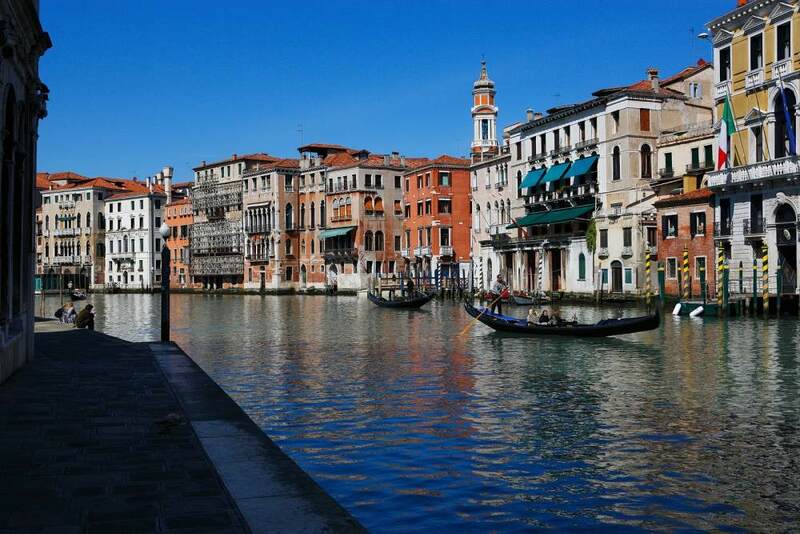 The Veneto is the biggest and most densely populated region in North-Eastern Italy. Geographically speaking, the Veneto is very varied. In the North it comprises the Western Dolomites and a part of the Carnic Alps; the plain, which covers more than half of the regional territory, is intersected by the Berici hills, the Eugnean hills and the Montello, where a beautiful mountain scenery is; the regional coastline is low-lying, sandy with numerous lagoons; besides the mountain lakes, the region also comprises a part of Lake Garda and this formation gives the region a very varied climate which, however, is always mild, owing to the influence of the sea. 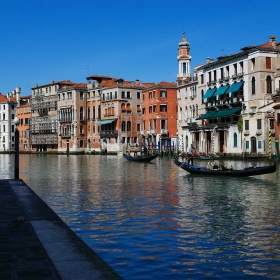 Venice: the chief town (with Mestre and Marghera on the mainland), very rich in history and with something to admire for every artistic period. 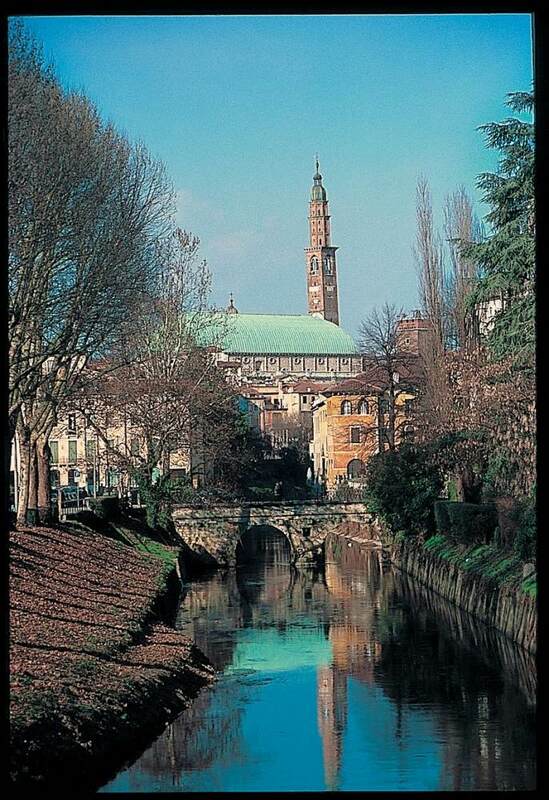 Padua: the oldest town in the region, very important for its University and also for art. Verona: famous for the Roman Arena, the Juliet‘ s balcony and for the church of St. Zeno,in Romanesque style. And even the beautiful Garda Lake. 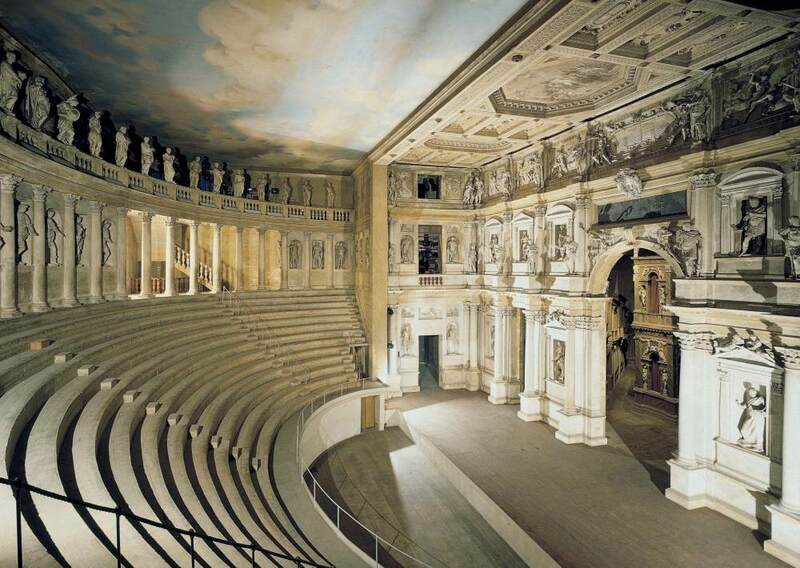 Vicenza: famous because of Palladio. 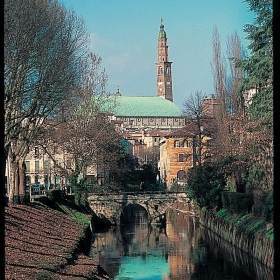 Treviso: situated on the North of Venice. Belluno: the most northerly town in the region. 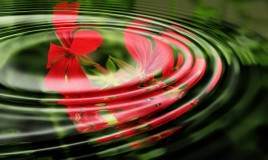 The Veneto is not important just for its economy and trade but expecially for its artistic heritage. 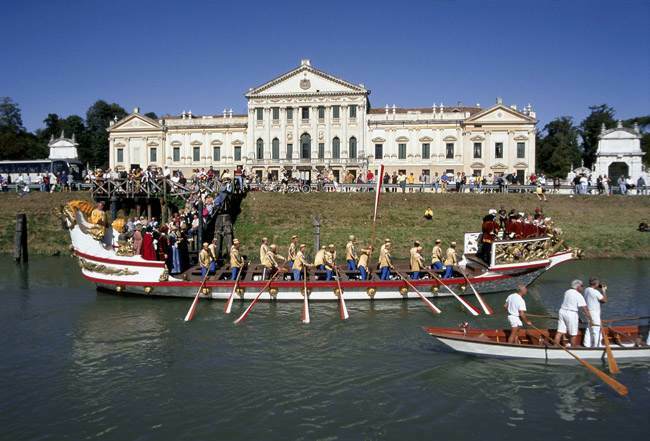 Every city in the Veneto can offer something about the history of art. 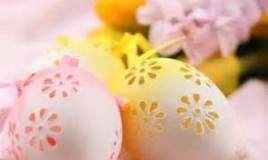 Padua has been a rich, populous and cultivated market town during it history. Its University, founded in 1222, is the second oldest in Italy after the one in Bologna. Its largest church, the Santo, begun in 1232 to enshrine the miracle-working bones of Saint Anthony, rivaled the Byzantine splendor of Venice‘ s San Marco and was on of the great pilgrimage churches of Europe. Padua has been important also in art, because Paduans accepted the challenge of Giotto, whose revolutionary frescoes in the Scrovegni chapel were painted in the early 14th C., and Donatello, whose sculptures in the Santo inroduced the Florentine classical style to the Veneto in 1440s. The city is today an active commercial centre. Despite severe bomb damage in World War II, it retains a distinctive of charmless character. The sightseeing starts from the centre of the town, PIAZZA CAVOUR, and the ideal start to a visit would be over a drink at the CAFFE‘ PEDROCCHI in the adjacent piazzetta, this Neoclassical building designed by Giuseppe Jappelli in 1831 is one of the most famous Italian cafés. Nearby is the UNIVERSITY, the second oldest in Italy, which has an important cultural tradition. Here one may visit the oldest ANATOMICAL THEATRE in Europe, founded in 1594. 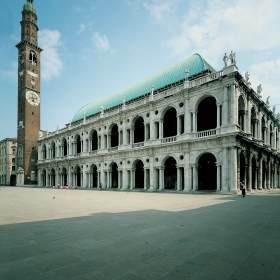 On the other side, beyond the MUNICIPIO (town Hall), there is the PALAZZO DELLA RAGIONE, one of the most typical civic buildings. It is called „IL SALONE“ and it was built as a tribunal in the 13th C.; inside there is a nice hall covered with frescoes of religious and astrological subjects and it contains a big wooden horse, possibly a copy of Donatello‘ s Gattamelata statue outside the Santo. VIA MANIN leads from the PIAZZA DELLE ERBE to the DUOMO, rebuilt in the mid-16th C. next to which is the 13th C. Romanesque BAPTISTRY, its interior entirely covered with important frescoes (1374-76) by Giusto de‘ Menabuoi. The CHURCH OF EREMITANI is few minutes walk away to the N. The church was built in 1276-1306 and reconstructed after bomb damage during World War II. In the OVETARI CHAPEL, on the right of the high altar, you can pay your respects to the tragic remains of Mantegna‘ s great frescoes (1454-57), the first Renaissance paintings executed in the Veneto. A not to be missed visit to the famous SCROVEGNI CHAPEL, that stands behind the Eremitani among the ruins of the ROMAN ARENA. Inside is the FRESCO CYCLE with which Giotto laid the foundation of Italian Renaissance painting, demostrating for the first time his ability to simulate three-dimentional space andshows the theme of Christian Redemption. Visit to the famous CHURCH OF ST. ANTHONY, called „IL SANTO“, goal of pilgrimage, built in the 13th C. to preserve the tomb of St.Anthony . The Basilica has an Oriental appearance with its 7 doms; inside there are bronze sculptures by Donatello on the high altar. Verona is one of the most beautiful and interesting cities in Italy and also the biggest and most important city in the Veneto just after Venice. Verona is very rich in history and also very important for trade, thanks to its strategic position. Our sightseeing starts in PIAZZA BRA, the hub of the city, a semi-circular open space, dominated by the massive ARENA and bounded on the NW by LISTON, where people use to walk up and down and where are situated many cafés. The ARENA is the third largest and one of the best preserved Roman anphitheatres in existence, used for Opera exhibition. Then we reach one of the landmarks of Verona, the JULIET‘ S BALCONY, in dusty red Verona marble, where Shakespeare takes inspiration for his „Romeo & Juliet“; on the courtyard Juliet takes shape in a bronze statue by Nereo Costantini. Inside the house, a ricomposed atmospjere of the 14th Century. A not to be missed visit to CASTELVECCHIO, an important civic museum in Gothic style, that was the residence of the Della Scala family, now it houses the CIVIC MUSEUM. Visit to the church of ST. ZENO MAJOR, pretty Romanesque church that contains paintings by Mantegna; wonderful the figurative complex of its „Porta Bronzea“ (bronze door). At the end of this tour a stroll along VIA BARBANI to wonder the main elegant shops. This tour starts from the 2 main squares, PIAZZA DELLE ERBE and PIAZZA DEI SIGNORI, enjoying the ARCHE SCALIGERE, cemetry of the Scaligeri rulers, located behind the east corner of Piazza dei Signori; it has a wrought-iron grill all around, with the ladder, the emblem of the family; this is absolutely a must. Have a stroll through VIA MAZZINI, pedestrian area and most elegant shopping zone. Visit to the CATHEDRAL, dating from the 12th Century. Then cross Garibaldi bridge and reach the ROMAN THEATRE, that stands on a hill and was recently excamated from 1834 to 1914. It is now used for plays by Shakespeare. It is the largest lake in Italy and it is situated just 30 Kms from Verona. This lake offers a pleasant climate all year round and the landscape varies from vineyards and olivegroves in the South to mountains and colourful resorts in the North. 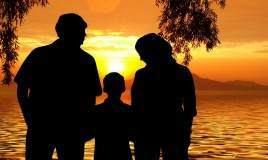 – BARDOLINO It is important for the production of wine. Vicenza is a handsome, well-ordered city, famous because of Palladio, the most important architect during the 16th Century, who influenced all western architecture. This town is situated at the confluence of the rivers Retrone and Bacchiglione, at the foot of Monti Berici. The sightseeing starts in the central part of the town, where is the BASILICA, the first public commission of Palladio and his masterpiece, built in stone. It stands between PIAZZA DEI SIGNORI and PIAZZA DELLE ERBE, the main squares. The Basilica is not actually a building but a screen wrapped around the 15th C. PALAZZO DELLA RAGIONE and organized by a flexible system of pillars and arches which conceals the irregular shape of the Gothic core. In the northern corner admire the TORRE DI PIAZZA, raised from the 12th to the 15th Centuries, shoots upward like a rocket. In Piazza dei Signori enjoy the unfinished LOGGIA DEL CAPITANIATO, by Palladio, dedicated to a Venetian captain to commemorate the victory over the Turks in Lepanto. 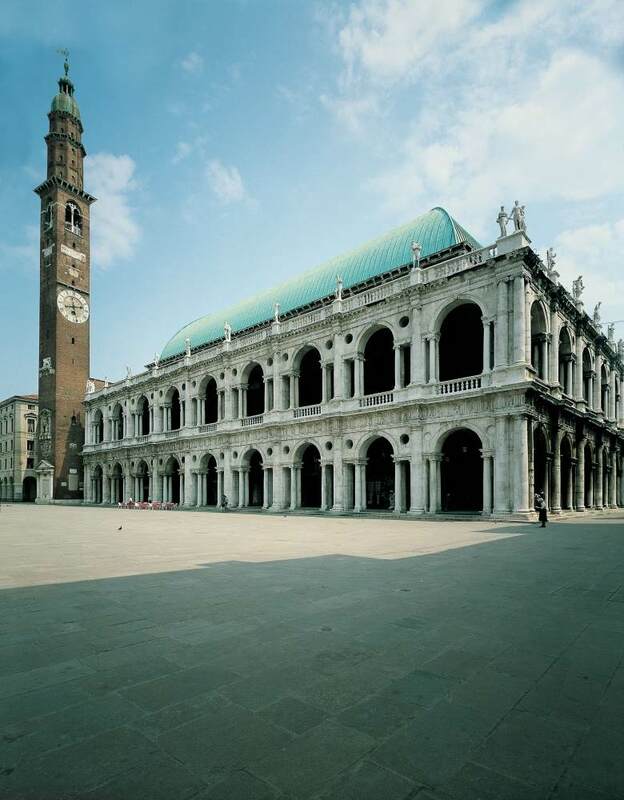 This tour starts from PIAZZA CASTELLO and pass through CORSO PALLADIO, the main street of Vicenza, that runs straight across the city. It is lined with fine palaces, the most notable is PALAZZO DEL COMUNE (1592) built by Scamozzi. Facing the river across Piazza Matteotti is Palladio‘ s PALAZZO CHIERICATI (begun in 1551, completed in the 17th C.), surmonted by an Ionic Loggia and seat of the CIVIC MUSEUM. 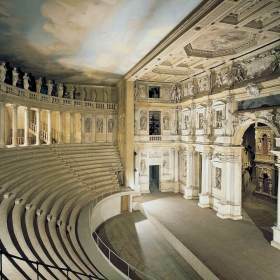 The last but not less important sight to visit is the OLYMPIC THEATRE, the last creation of Palladio, ended by scamozzi in 1584. This sightseeing starts in Piazzale Roma (Venice). We arrive in Malcontenta in about 15 minutes by car. Visit to VILLA FOSCARI-„LA MALCONTENTA“, built by Andrea Palladio in the XVI C., painted by Zelotti. The tour goes on, following the Brenta canal, enjoying the beautiful villas, dated since 1400 till 1797 (invasion of Napoleon) on the bank. The most part of the villas are private residences but also public buildings, hotels and restaurants. Cross Oriago and at the beginning of Mira, enjoy VILLA BARCHESSA VALMARANA on the left bank and see just in front of it VILLA WIDMANN (visitable on request). The sightseeing follows the direction Padua, crossing some little town, Mira, Dolo, Fiesso. At the entrance of Strà you can admire the biggest Venetian villa, VILLA PISANI, which stands between Venice and Padua (along Brenta canal). This Villa, built on 1725 by Friggimedica, was requested by Pisani and it took 40 years to be built. >From here it would be interesting a visit of Padua. The Brenta river links Venice to Padua. 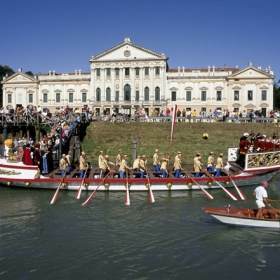 To have a sightseeing on boat of a part of its wonderful artistic heritage by (by Palladio) you should take the boat called „Il Burchiello“, that will leave from the Pontile Giardinetti (Venice-St.Mark) and will reach Malcontenta, were you will admire VILLA MALCONTENTA, built by Andrea Palladio on 1550 for the Foscari family, that is considered the most beautiful villa of the architect, in Neoclassical style. The tour goes on as far as Mira Ponte, to visit VILLA WIDMANN, decorated with wonderful paintings by Giuseppe Angeli, that represent the history of Helena. The next villa is in Strà, VILLA PISANI (or Villa Nazionale). This refined villa, built on the 18th C. for Doge Pisani, looks like the Versailles palaces, because of its royalty. It has 114 rooms and a really lovely labyrinth, decorated with many statues. On the NE edge of Vicenza stands VILLA VALMARANA, fine building decorated with beautiful frescoes by Tiepolo and his son Gian Domenico. Proceed on foot through „via della Rotonda“, where admire the marvellous VILLA ROTONDA, brilliant creation of Palladio, ended by Scamozzi. It is a symmetric building with square plan. Drive to Thiene, where VILLA THIENE is located. Then take the old Padua road to Vancimilio to see the VILLA CHIERICATI.